1765 José de Gálvez arrives in Mexico as Visitor General of New Spain. Periodically insane—thinks he is God, Montezuma, or the King of Sweden—he lauches an ambitious program of colonizing Alta California, implemented by his emissary, Padre Junipero Serra. The central idea is to establish a Spanish presence along the coast to back up the claims to the territory first made during Cabrillo's expedition in 1542. Since there was neither interest nor funds for establishing Spanish settlements, Gálvez, prompting or prompted by King Carlos III, hits on the idea of enlisting the native population to do it. This left the problem of how to motivate them, which is where Serra came in: they would be converted to Christianity and thus become loyal Spanish subjects. The plan was that after a ten-year period, the missions would be handed over to the natives, who would run the towns. A tiny number of Spaniards undertook this task; in the first ten years, perhaps around one hundred men. Yet the project still turned into a genocidal disaster. This was not due to the invaders' brutality -- though the military that backed them up was a formidable force. The chief agents of death were the invisible microbes they brought with them. As in the rest of the New World, death rates close to 90% over the century following contact were typical, a scenario hard to fathom or imagine. The Spanish worried about the presence of Russian trappers. The irony of the entire enterprise is that in the end it was largely pointless: the United States conquered the area in 1846-48. 1760s On the more prosperous missions of Mexico and Baja California, the local natives became infected with mal galico (syphilis) and gonorrhea from the Spanish troops, and they constantly suffered from epidemics of measles and other diseases for which they lacked immunity. They were dying off in such great numbers that the padres feared that within a generation they would become extinct as a people—a prospect that did not stop the Franciscans from planning to do the same to the rest of California's native population, estimated to around 310,000 but possibly double that. One hundred years later, there were 50,000 left of a people who had lived in the area for several thousand years; by the turn of the 20th century, only a few thousand were left. 1765 Gálvez begins a series of fortifications in Alta California to prevent Russian and English colonization. 1768 Gálvez heads a sea expedition to Monterey (Alta California). 1769 March 24 Fray Juan Crespi of Mission Purisima leads the first group of missionaries, local natives, soldiers, "sappers" (trail breakers), and muleteers overland from the northernmost missions of Baja California. March 28 Padre Junipero Serra leaves Mission Loreto with a second group. May 14 Crespi’s group arrives in San Diego de Alcalá, first visited by Cabrillo in 1542, covering 350 miles of unmapped territory; 30 out of 44 natives have died or deserted. Beginning of work on San Diego mission and presidio. The area is home to around 8,000 Kameyaay (Tipai-ipai or Yuman). The official purpose of the forts was to protect the padres. The soldiers were called "leather-jacket" troops, from the thick jackets they wore as protection against arrows. Vallejo reports the King of Spain had decreed that each soldier should have a sword, shield, lance (a sharp steel head on a long pole), shotgun, several pistols, six horses, a colt, and a mule. July 1 Serra’s group arrives; only 12 of the 42 Indians survive the 700 mile trek, starved, dehydrated, and exhausted. For an example of the extreme distortions to which these events are typically subjected, see The Mission Bell by Leo Politi. July 14 Don Gaspar de Portola, completing a military expedition from Baja California, occupies the natural port of Monterey. June-December The Indians at the San Diego mission survive by gathering wild roots and seeds, snaring rabbits and mudhens, scouring food from the nearby beach and wetlands, supplemented by meager rations from Mexico. August 1 Crespi's group arrives in the Los Angeles basin, camping east of the present downtown to celebrate a major Franciscan feast, "Our Lady of the Angels of Porciuncula." In its honor, the expedition gave the name Porciuncula to river, later the Los Angeles river. The tiny and rustic Porciuncula Chapel, now in the vast Basilica of Santa Maria degli Angeli on the plain below Assisi in Italy, was restored by St. Francis in the thirteenth century to become the center of the Franciscan order. August 2 Fray Juan Crespi names the area that is now Los Angeles "Nuestra Señora de los Angeles de Porciuncula" (Our Lady of the Angels of Porciuncula). The Spanish village was not officially established until September 4, 1781 (see below). August 15 Native peoples from the Cosoy village attack, killing Serra’s servant and wounding several others; they are unable to take the Presidio. The first Mexican and Spanish settlers arrive at the Río Porciúncula and the Los Angeles valley. The basin is populated Takic-speaking peoples; see a short history of Los Angeles (local). 1770 February 11 Riviera’s resupply ship leaves San Diego to return to Mexico. March 19-23 The San Antonio brings supplies to San Diego and takes some people back to Mexico. April 17 Serra's Monterey expedition departs from San Diego. A total of 21 missions were founded, see clickable map (external). For the contemporary romanticized version of the story, see The Spanish Missions of California (external). June 3 Mission San Carlos Borromeo founded, first in Monterey and later moved to the Carmel valley. 1771 July 14 Mission San Antonio founded in Monterey. September 8 Mission San Gabriel founded north-east of present-day Los Angeles, along the well-traveled trails used by travelers from Mexico to Alta California. The mission was often crowded with the military, whose behavior was disruptive to the missionaries as well as the Native American living within the mission. In 1775, the mission was moved to a new and prosperous site, producing large crops of wheat, corn, and beans. Herds of cattle provided the means for the highly prized industries of tallow-rendering and soap-making, as well as tanning hides for leather goods. The Native Americans here were also highly skilled weavers and wine makers. 1772 September 1 Mission founded at San Luis Obispo, near Valley of the Bears where the Spanish had found such a large population of bears they were able to keep other missions from near starvation by hunting the bears and sending the meat to the missions. While the natives near the site were friendly, just south of the mission were tribes that were determined to drive the white men out of the area. They would shoot burning arrows into the dry tinder buildings that would quickly spread to other buildings causing considerable damage and setbacks for the missionaries. 1773 February Padre Serra arrives in Mexico City to lobby the new viceroy, Antonio Maria de Bucareli y Ursua, for increased mission support. He draws up a detailed Reprecentacion to achieve a better supply of farm workers: they should no longer be forced to come, and should be allowed to bring their families. May Bucareli issues the Reglamento of 1773, a temporary law governing treatment of laborers. Placing all responsibilities for the Indians in the hands of the missionaries, it ordered the padres to serve them as parents love and teach their children. Soon several groups make the trek north. 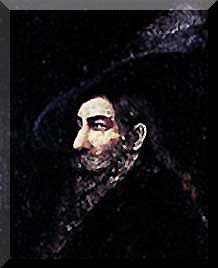 Captain Juan Bautista de Anza's first expedition to Alta California, with 34 men, 140 horses, and 65 cattle. For a quick take on the trip, see de Anza, Trailblazer. For the decisive role of the Baja Cochimí Sebastian Tarabal in the expedition, see Street. For a contemporary poem on the expedition, see red slider's "Spirit of the Ground." For a more detailed narrative, see Meredith Hindley's preview of the NEH-funded de Anza project at the University of Oregon and excerpts from Garate's Ruta Nacional Historica. For de Anza and Tarabal's forerunners, see Harlan Hague's The Search for a Southern Overland Route to California. For further sources, see Chumash Bibliography. 1775 De Anza’s second expedition. October 30 Aborted founding of San Juan Capistrano mission by Lasuen. The site was abandoned after eight days when they received word of an attack at the San Diego mission. November 4 A coalition of 800 natives from several tribes attack the San Diego mission, looting the supplies and burning the buildings to the ground. Palou says it was started by two Indian converts who escaped and sought help from their fellows, and that they burned the mission and killed the friars, but could not take the presidio. "We set out from the little arroyo at seven o'clock in the morning, and passed through a village to which we were invited by some ten Indians, who came to the camp very early in the morning singing. We were welcomed by the Indians of the village, whom I estimated at some four hundred persons, with singular demonstrations of joy, singing and dancing." See history of the Muwekma Ohlone (external). June 26 Mission and presidio founded at San Francisco. A signal event at this mission is that more than 5,000 natives die in a measles epidemic (date uncertain). November 1 Mission San Juan Capistrano founded by Serra. 1777 January 12 After a delay of several months, due to an uprising of the natives at Mission San Luis Obispo, the second mission ordered to hold the San Francisco Bay was founded in Santa Clara. Shortly after the arrival of the Spaniards many of the native children died from an epidemic of measles; the friars hoped to cure them by bringing them into the mission and baptizing them, but succeeded only in filling the extensive cemetery. 1780 Vallejo says Croix, the new commandant-general of inland Alta California, decided to set up two new missions on the Colorado River, La Purissima Concepcion and San Pedro y San Pablo, with no more protection than ten soldiers each. The fathers and the settlers started to run out of food and other supplies, and they had no gifts to give the Indians, who were getting more restless by the day. 1781 September 4 Governor Felipe de Neve founds the pueblo called "The Town of the Queen of the Angels on the Porciuncula River." See also August 2, 1769 above. The current name, Los Angeles, was formalized when the city was incorporated on April 4, 1850. Yuma Indians attack the two Colorado river missions, killing almost 100 soldiers and padres, including Father Garcés (and possibly Sebastian Tarabal), capturing others, and sparing only the women and children. Following the massacre, Spain abandoned the Yuma crossing, closed the Sonoran trail, and relied entirely on sea routes to resupply the missions. The missions were never rebuilt. It was slow and expensive work to sail the fragile vessels against the prevailing winds and currents, and they were not used for importing Indian labor--only for delivering food, tools, artisans, colonists, and Spanish officials. 1782 March 31 Mission San Buenaventura founded after a delay of twelve years. Problems at other missions prohibited the availability of the military escorts needed to establish it. Extensive irrigation provided by a seven-mile-long aqueduct that brought water to the mission from the Ventura River, permitting the production of many types of fruit, grains and vegetables. Due to the outstanding climate they were even able to grow exotic crops such as sugar cane, bananas, coconuts and figs. April Santa Barbara Presidio founded. Father Serra dedicated the site, but permission to found a mission was refused by the Governor, Filipe de Neve. de Neve resented the power he believed the Franciscans gained with each new mission, and through his superior, the Viceroy in Mexico, was able to delay the necessary funding for new missions. Here is the tourist version of the event, posted on Central Coast Net: "With plans to establish a military presidio and a mission, the group that officially founded Santa Barbara was led by Father Junipero Serra, and included Captain Jose Ortega and Governor Felipe de Neve. Chumash Chief Yanonali welcomed the Spaniards and offered them assistance." 1784 Juan José Domínguez' men drive 3,000 mares, 1,100 ponies, 700 cows, 600 calves and 26 bulls from San Diego to Domínguez Hills, and plant 2,000 acres of grain. José María Verdugo obtains 36,000 acres in the San Rafael-Glendale-Burbank Ranch. Manuel Pérez Nieto occupies 130,000 acres in Ranch Los Nietos. August 28 Junipero Serra dies and is buried at San Carlos mission in Carmel, next to Crespi. He is succeed as President of the California missions by Padre Fermin Lasuen. 1786 December 4 Santa Barbara mission (photo), the tenth, founded by Padre Lasuen. 1787 Start of the Jesuit mission in the Sonoran desert (external). December 8 Mission La Purissima Concepcion founded near Lompoc. 1788 First municipal government in the Pueblo de Nuestra Señora la Reina de Los Angeles, which consists of fewer than 30 houses. Two fanegas (100 bushels) of corn are imposed as taxes to the government. The first mayor, José Venegas, is an Indian from Durango. 1791 August 28 Mission founded at Santa Cruz. The natives were kept confined, leading to the murder of one of the padres. October 9 Mission Nuestra Señora de la Soledad founded in the Salinas Valley. 1797-98 Lasuen founds five missions in thirteen months. At Mission San Juan Bautista, Padre Arroyo created the first dictionary-like document of seven local native languages. 1798 Mission San Luis Rey founded between San Diego and San Juan Capistrano. At its peak, it housed 2,700 natives. As in all the missions, the local population was held captive and they were not free to leave. 1801 An especially severe disease pandemic cf. Castillo (1999). 1817 December 14 San Rafael Arcángel founded, led by Padre Jose Maria Mercado. When he once saw a group of natives walking towards the mission, he wrongly assumed that they were going to attack and ordered his neophytes to attack them first. What ensued was the death of 21 unarmed natives, and many more wounded. Mercado was thought adequately punished for this slaughter by being suspended from mission work for six months. 1821 Mexican independence from Spain. 1823 July 4 The last mission, San Francisco Solano, founded in Sonoma. Its location is chosen by Governor Don Luis Arguello in a bid to keep the Russians out of Northern California. Juana Maria, the Lone Woman of San Nicholas. At some point -- I've been unable to determine the date -- the Spanish removed all the inhabitants of San Nicholas island, but a young woman got left behind. Eighteen years later, she was found, in good health, and pursuaded to come to the mainland, where she died of disease within seven weeks. Juana Maria is buried at the Santa Barbara Mission. See mural and "Woman Spirit" by Janet White; the story is retold in Scott O'Dell's Island of the Blue Dolphin (see Teacher's Guide -- all external). 1824 When word reached the La Purísima neophytes of one of their brother natives having been flogged at Mission Santa Ines, and the ensuing skirmish resulting in the death of two Native Americans, they revolted. Aided by rebels from Mission Santa Ines, they took control of Mission La Purísima and held it for almost a month. When the Governor heard what was happening he sent soldiers from Monterey. After a battle of three hours the Native group surrendered. Sixteen of their men had died and many more were injured. In order to prevent any future uprising the Governor ordered severe punishments for the natives. Seven Native men were condemned to death and eighteen others were sentenced to prison. 1826 Father Jose Altimira, sent from Spain in 1819, engaged in constant flogging and imprisonment of the Native Americans at the Mission San Francisco Solano, and his efforts to "civilize" them soon caused a revolt. A large group of angry Native Americans attacked the mission in 1826. After looting and burning buildings and supplies, they forced Father Altimira to flee to Mission San Rafael. Soon after that, unwelcome at any of the missions, he returned to Spain. 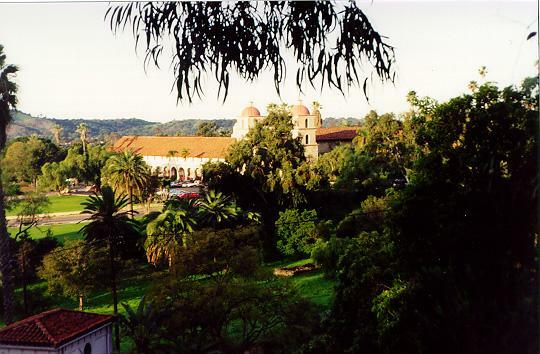 1833 Father Narciso Duran, then president of the California missions, moves his headquarters from Mission San Jose to Mission Santa Barbara, which becomes the archives for the California mission chain. 1769-1834 During the Mission Period (1769-1834), trade with any country other than Spain was officially forbidden. Regardless, illicit dealings were often conducted with foreign vessels in sheltered coves along the coast. These transactions furnished the residents of Santa Barbara and Ventura with luxuries like exotic Chinese silks and shoes from the far-away United States of America. Rawhide used in trading soon came to be known as "California currency." 1834 The missions are secularized, as planned from the beginning. They were to have been handed over to the local populations. Instead, a veritable riot of looting ensued and the various native groups typically ended up with nothing..
For example, the barely completed Mission San Francisco Solano came under the control of General Mariano Vallejo. He was supposed to see that the mission properties were distributed to the original inhabitants, but claimed the mission property as his own and added it to his already vast property holdings in the area. With the promise of protection, room and board, he put the indiginous population to work for him.